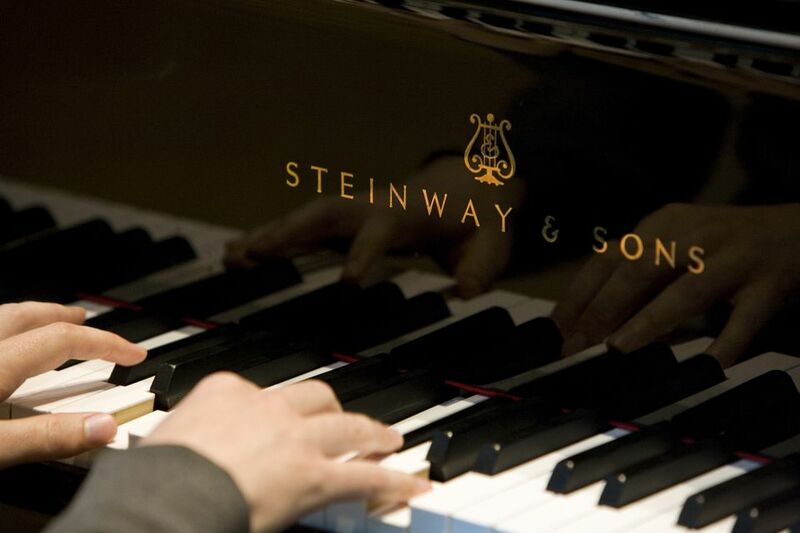 Did you know that Steinway & Sons, one of the most famous piano makers in the world, is still located in Astoria, Queens? You can go on a $10 factory tour where the company's famous Steinway pianos are built by hand by skilled artisans. It's a fascinating process to see how the Steinway piano's incomparable sound is achieved. It's also fascinating to learn how the Steinway family is responsible for developing the modern piano into what it is today, as well as developing the neighborhood of Steinway in Astoria. Astoria has been the home of the Steinway & Sons piano factory for decades. The factory is located in the far northern section of Astoria, in an industrial zone, at 1 Steinway Place, located north of 19th Avenue. Steinway & Sons was founded in 1853 by German immigrant and master cabinet maker Henry Engelhard Steinway, in a loft on Varick Street in Manhattan. He eventually established a factory on 59th Street (where the current piano bank is). In the latter half of the 19th century, the Steinways moved the factory to its present location in Queens and established a community for its workers called the Steinway Village, which is now part of Astoria. The Steinways also opened a library, which later became part of the Queens Public Library system. Tours of the factory take close to three hours and are extremely informative. The tour is excellent, and in fact, Forbes magazine voted it one of the top three factory tours in the country. It's only offered once per week starting at 9:30 on Tuesdays from September to June and groups are small (16), so be sure to book your tour in advance by calling 718-721-2600 or emailing tours@steinway.com. Tickets are $10 each and all participants must be at least 16 years of age. For additional visit details and guidelines, visit their official website. The tour guide starts by telling visitors a little history of the company, and how the Steinway piano became so popular and highly regarded. In the mid-1850s pianos became more and more popular in middle-class homes. At one point in New York City, there were about 200 piano makers. Steinway pianos started becoming the piano of choice at this time, gaining recognition and winning awards in the U.S. and Europe for the quality and sound. You'll typically see the entire process of creating a piano, from the raw wood (walnut, pear, spruce), to the veneer of all sorts (mahogany, rosewood, pommele), to the final tuning. The raw wood is aged and the veneer comes from exotic woods harvested in Africa, Canada, and elsewhere. One note about the woods used for the veneer: Steinway & Sons is serious about having the proper paperwork in order when receiving these rare woods, and the company will not take any wood that has been harvested illegally. You'll also see one room devoted to the creation of the elaborate piano action, from the key itself to the hammer and all the little parts in between. It might surprise you to see mostly women piecing together the action. Apparently, this is because women are more dexterous than men and therefore can manipulate the small, intricate piano components more easily. The finishing room is where the finishing is applied to the instruments, using lacquers and shellacs. The "ebonized" instruments have six coats of lacquer, three black and three clear. You'll end the tour at the factory showroom, where visiting Steinway artists come to see the pianos and play the instruments in amazing acoustics.